Magic: The Gathering Arena is still in development and while Wizards of the Coast is attempting to be open about the decisions they are making during the development process, there is still lots of information that is not yet known. Here we go over our top five unknowns surrounding MTG Arena as of right now. 5. When exactly does the closed beta begin? During a recent Q&A livestream Community Manager, Nate Price and Principal Game Designer, Chris Clay revealed that the closed beta would begin sometime in November, but stopped short of giving an exact date. Chris Clay did say “Remember, Remember sometime in November” when discussing the subject which may point to a target launch somewhere close to the 5th of November. During the same Q&A event it was shared that there will be another developer Q&A on the 25th of October that will discuss the subject of the closed Beta in more detail, so this question should have an answer very soon! 4. How will players obtain cards needed for constructed decks? Constructed decks in Magic: The Gathering have very specific requirements for how many of each card are required in both the main deck and the sideboard. Many competitive MTG players are used to being able to purchase the exact cards they need from sites such as TCGplayer.com and do not want to spend all of their money on sealed packs in the hopes that they get the cards that they need for their top tier deck. 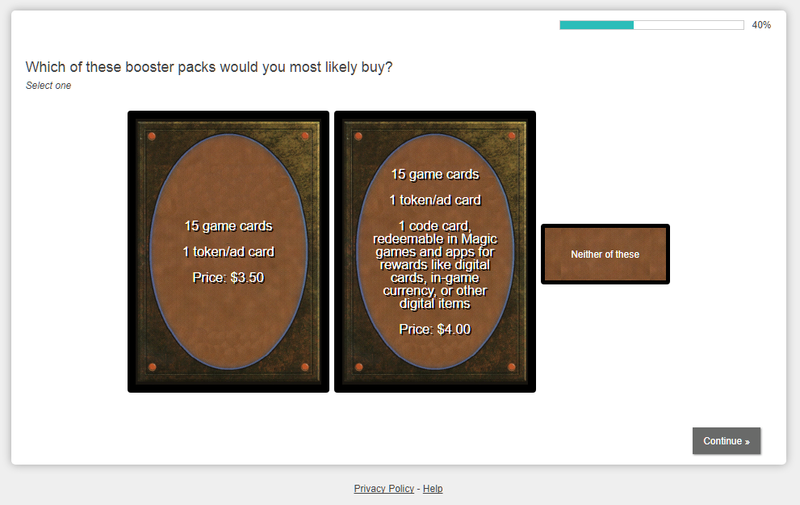 So far there has been no information shared about what will be available in the real money shop inside of MTG Areana. My assumption would be that Wizards will follow in Hearthstone’s footsteps and allow unwanted cards to be “disenchanted” into some sort of raw material that can then be used to create new cards that are wanted. 3. What happens to cards after they rotate out of standard? Wizards has stated that Magic: The Gathering Arena will be focused only on the Standard format for it’s initial release. This means that most cards could no longer be supported after 18 months. What happens to these cards that are in your collection after they rotate? One option would be that Wizards assumes that players can disenchant these cards and use them to create newer cards. This could present a problem for MTG specifically since cards can be reprinted later which brings them back into the standard rotation. I know that I would probably be pretty upset if I disenchant all my copies of a card that is no longer in standard only to have that card reprinted in a later set and be required to aquire a brand new playset of them. While we are on the subject, what happens to unopened packs of sets that are no longer in standard? Would they automatically be converted into some other form of in-game currency? We can only speculate on the answers to these questions. 2. Will players be able to obtain MTG Arena products from physical packs? Recently the MTG sub-reddit was buzzing about a survey that Wizards of the Coast sent out asking what price point players would think is fair to start including codes to redeem for digital products in their physical packs. This survey heavily suggests that Wizards will start including codes in physical MTG packs that can be redeemed for digital products in the near future. Remember, a similar survey asking about bringing core sets back caused a stir just before they were re-intruduced. 1. Will Wizards finally create a premium digital product? Wizards of the Coast has a bad track record for creating digital products that are not of the highest quality. Bug reports and jokes about the low quality of Magic: The Gathering Online are constant. The current version of the game is actually the 4th iteration of the product and every version has had the same mediocre reception. Has Wizards finally taken player feedback to heart and created a digital version of MTG that players have been hoping for for years? PREVIOUS POST Previous post: Welcome to MTG Arena Pro!